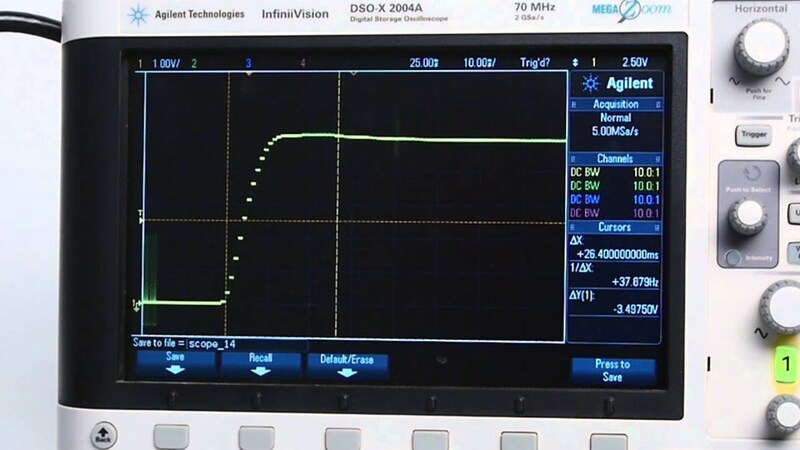 An excellent MFC needs to do only one thing well: keep the flow rate at your setpoint. Alicat’s MC series gas mass flow controller achieves new setpoints rapidly and stays there, even in the face of pressure spikes. We’ll use your application parameters to customize your valve and PID tuning to ensure that it delivers fast and stable control. Versatile. Control pressure while monitoring flow rates, select another gas calibration on the fly or define your own gas composition with COMPOSER™. Durable. MC series flow controllers can temporarily flow liquids without getting destroyed. For environmental hardiness, we can build your MFC with IP66 ingress protection. Instruments in the standard MC series are also available with an optional “S” configuration (MCS) for use with corrosive gases. In this configuration, we upgrade the valve to 303 stainless steel, the sensor to 316L stainless steel and the elastomers to FFKM. Some corrosive gases require 316L stainless steel throughout the flow path, and in this case we can upgrade both the valve (type PCA) and flow body to 316L for full-scale flow ranges of 20 slpm or less. Alicat’s MC series uses small proportional valves for control at lower flow rates and is suitable for use with non-corrosive gases. Alicat’s MCP series offers the largest orifice in a small valve format and is suitable for use with non-corrosive gases. Alicat’s MCH series pairs two small valves working side-by-side as one and is suitable for use with non-corrosive gases. Alicat’s MCR series uses nearly frictionless Rolamite valves and a variety of orifice patterns for control at high flow rates and is suitable for use with non-corrosive gases. Alicat’s MCS series uses small proportional valves for control at lower flow rates and is suitable for use with corrosive gases. Alicat’s MCHS series is suitable for use with corrosive gases and pairs two valves working side-by-side as one to provide greater control at higher pressures. Alicat’s MCRS series is suitable for use with corrosive gases and uses nearly frictionless Rolamite valves and a variety of orifice patterns for control at high flow rates. Control mass flow rates over a wide flow range with rapid adjustments to accommodate changing flow requirements. Digital feedback from PLC or PC allows real-time changes to the flow rate setpoint to maintain optimal process conditions. 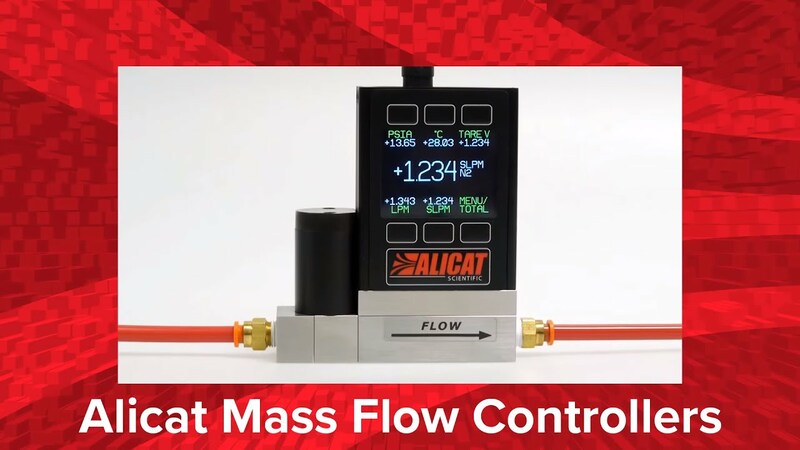 Mass flow controllers from Alicat are well suited to the creation of custom gas mixing systems. Their inherent flexibility and adaptability may be utilized to great effect in this type of application. Alicat’s remote electronics option separates the electronics from the sensors and flow body. This allows for flowing gases at higher temperatures through the flow body without subjecting the controller electronics to temperatures beyond their design.